Newt was quick to add that he, personally, has “a sense of humor” and likes “the alligator and swamp language. ... 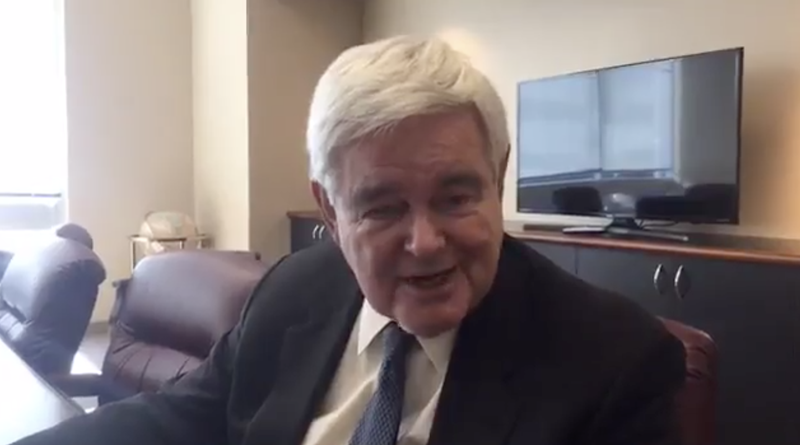 I think it vividly illustrates the problem, because all the people in this city who are the alligators are going to hate the swamp being drained.” Do you get it?, Newt asks. It’s like the bad people are the alligators and they LIKE swamps. But not Mr. Trump! Alas, for poor Newt, it was too late. The damage had been done. These are the slurred, dead-eyed words of a man on the brink of hell. Did Donald Trump ask him to make this video? Might Newt simply be cowering in fear over the possibility of definitely not getting a White House role as opposed to just probably not? Or is Donald Trump cackling under the desk with a cattle prod pressed firmly against Newt’s pants-less lower half? Since we can’t know for sure, we must assume all the above. Newt, you don’t have to do this. Your last shred of dignity may have trickled out months ago, but Callista (probably) loves you. The animals (maybe) love you. It’s not too late. Newt, you can still just walk away.